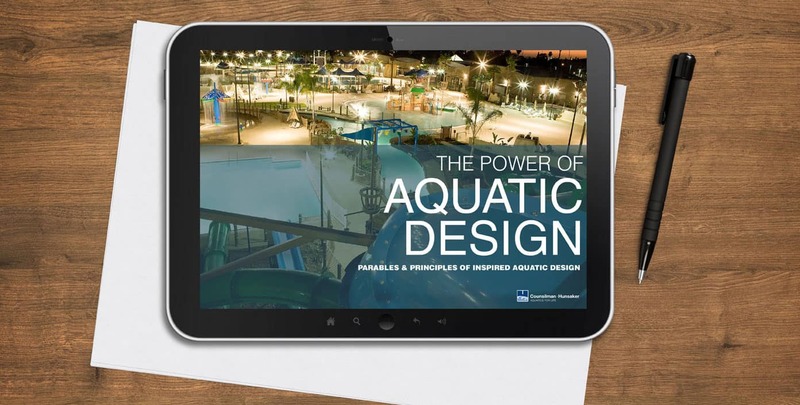 Focused on the future of your new aquatic facility, our Design ebook shares principles we’ve distilled from 45 years in the aquatic design industry. The word “design” has so many definitions. From the brainstorms and napkin sketches of a pool owner to the exacting specs of an architect’s blueprint, we have the expertise to turn dreams into inspiring life experiences. Where should you begin? Our team will help you by analyzing site conditions, creating a description of the facility and confirming the types of activities the facility may offer. We will also calculate preliminary opinions of construction costs, development expenses and total project costs. These initial steps will help prevent false starts and lost time that often occur with out-of-date research or cost information. Many existing facilities appear to be antiquated but actually have years of productive life left. Counsilman-Hunsaker’s professional analysis of an existing pool and/or natatorium will enable you to make a knowledgeable decision regarding repair, renovation or replacement. This involves using visual media, research data and cost data in a workshop setting to stimulate creative thinking. Once the vision is identified, we will develop concept design options along with site-specific costs based on an international database of current costs. Then we will help you evaluate, modify and make a selection. To build a plan for your aquatic facility, we need to determine your desired outcomes. What do the stakeholders want? Which aquatic facilities are your competitors? Which amenities can be built to meet your desires? What will it cost to build them and maintain them? And what is the revenue potential for each solution? Once these programmatic questions are answered, design can begin. Based on the concept selected, Counsilman-Hunsaker will work with the entire design team to develop schematic plans, cost estimates, support data and site information for the project. These schematic designs will become a work in progress, and will be reviewed by all constituents and committees for revision, approval and authorization. During this critical phase, we will consider all input as we develop the plans and specifications, recalculate cost estimates and refine schedules. Ultimately, we will craft a design action plan to guide efficient engineering, construction and operation of your project. Counsilman-Hunsaker’s technical plans and specifications are considered by many to be the best in the industry with tighter bids, fewer change orders and less dependence on contingencies. The result is a high-quality facility at a fair market price with lower life-cycle costs. Once the design development phase is approved, Counsilman-Hunsaker will help the design team create your construction documents. These documents will present definitions, descriptions and drawings of the structures, systems and equipment based on the input received during the earlier visioning and design phases. Following approval, the construction documents will become the bid documents. Having worked with hundreds of different contractors, Counsilman-Hunsaker will offer guidance on prequalified firms as well as the qualification requirements for any new contractors you consider. Decision-making is key to creating an aquatic center on time and on budget, and our knowledge in the bidding process will minimize wasted resources. When taking a documented vision to reality, we can save you thousands of dollars by identifying incorrect components, flawed work, improper assembly and unauthorized substitutions throughout the construction process. This service includes on-site observation, the review, approval, rejection or re-submittal of contractor decisions, recommended systems and products, and communication between the architect and design team members. Just as pre-planning is a key phase at the start of the process, commissioning is critical at the end. It is essential that all systems are functioning as designed when the operator takes over. With five decades of experience, we know what it takes to operate efficiently, and will check all systems before the contractor turns the facility over to your owner. During close out, we will confirm that the pools are constructed according to the plans and specifications and submit a final report to the client. A one-year pre-warranty anniversary examination will also be available. It’s exhilarating to watch your vision come to life during the design and building phases. Success, however, also hinges upon efficient operations, which should be mapped out early in the design stages.